Primer & Prep Product. A single pack epoxy etch primer designed to etch and passivate ferrous and non-ferrous metals. 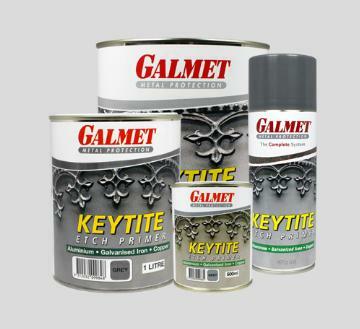 Galmet Keytite Etch Primer offers excellent adhesion and barrier properties over Galmet Cold Galvanizing and other zinc coatings prior to topcoating.